The Sydney Marathon is a marathon held annually in Sydney, Australia each September. The event was first held in 2001 as a legacy of the 2000 Summer Olympics, which were held in Sydney. 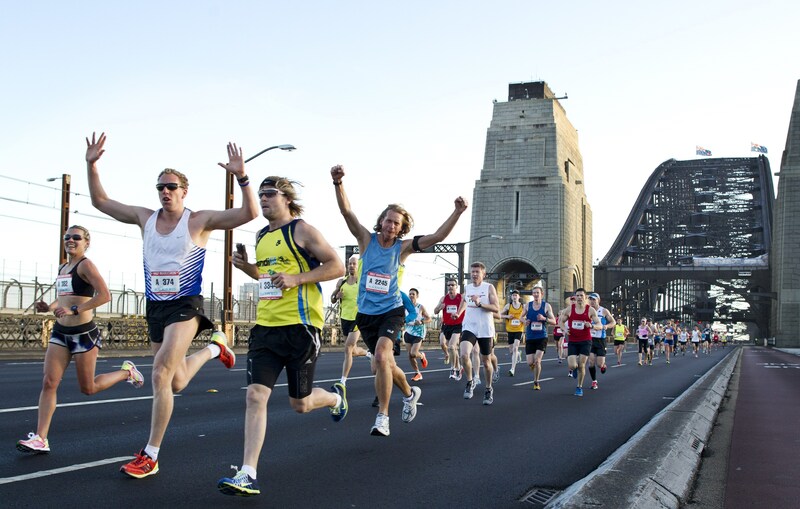 In addition to the marathon, a half marathon, 9 kilometres (5.6 mi) "Bridge Run", and a 3.5 kilometres (2.2 mi) "Family Fun Run" are also held under the banner of the Sydney Running Festival. The marathon course record is held by Gebo Gameda of Kenya, who completed the race in 2 hours, 11 minutes and 18 seconds in 2014. The fastest woman is the Ethiopian Biruktayit Degefa, who ran a time of 2 hours, 32 minutes and 46 seconds in 2013. Introduced in 2001, the Sydney Marathon followed the same course as the marathon during the 2000 Summer Olympics the previous year. During that first year, the women's race was won by Krishna Stanton, who had never run a marathon before, and was doing the event as a result of a challenge from a friend. The Bridge Run was added in 2002, initially as a 10 km event, before being reduced to 9 km in 2005. 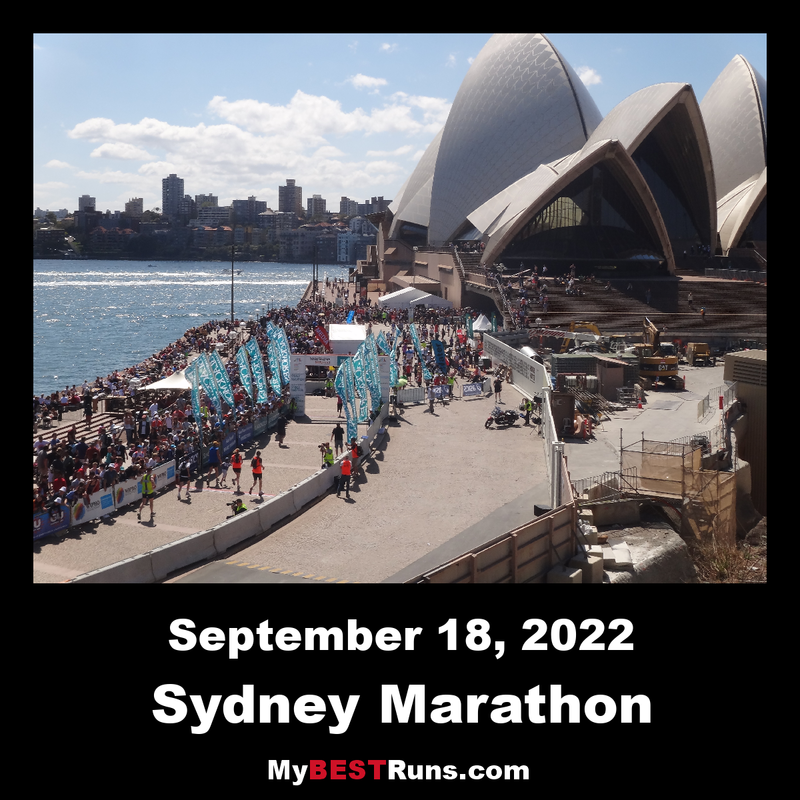 The marathon and half marathon both finish at the Sydney Opera House, while the shorter runs end at the Royal Botanic Gardens. In 2010 the marathon course was changed to flatten it out which, according to the organisers, makes it "a faster, more scenic and spectator friendly course." In 2014 the marathon was awarded a Silver Label Road Race by the International Association of Athletics Federations (IAAF), then in December 2014 the race was awarded a Gold Label Road Race in time for the 2015 race. As of 2014, nine runners have competed in every Sydney Marathon, and have been dubbed "Blue Line Legends".